The expression inside the parentheses is tested; if it evaluates to true, the code block inside the braces is executed. Then the expression is tested again if at any point the expression return false, the loop exits. Note: There must use the same expression (that are used in a while condition ) in while loop body otherwise loop will be never terminated. This type of the unterminated loop is called infinite loop. echo "12 x $var =".($var*12)." 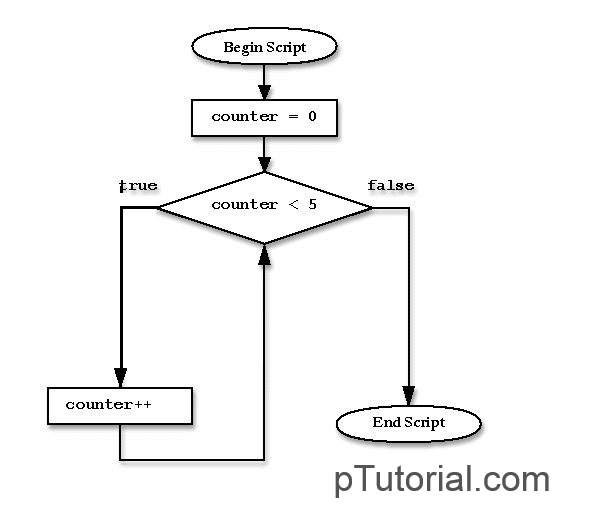 In the above example, the while loop will be executed 10 times and print the table of 12. Do while loop loop are explained in next section. Wonder is the first cause of philosophy.